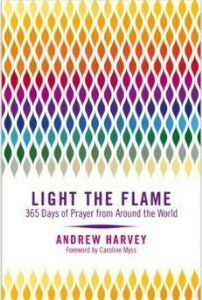 In this collection of prayers from around the world, mystical scholar Andrew Harvey shares the illuminating and soul-awakening power of the written word. In this deeply inspirational book, he offers you a daily reminder of the sacred quality and preciousness of life. Each day, there's a chance to explore both modern and classic works, whose wisdom is simple yet timeless. Themes include love, despair, loss, unity and transformation. This luminous book will capture your imagination, nourish your soul and lift your spirit.